Journalists from Luzon and the NCR agreed that a Filipino or “Filipinized” type of federalism that acknowledges the country's diverse cultures, traditions, religions, and regional dynamics will be applicable to the Philippines. "Let's look at the CAR experience. We’ve been talking about autonomy for the longest time. In fact, our different tribes up there are the ones very much affected with all these issues on having an autonomous region," said Sonia Daoas, PPI trustee for Luzon and director of the Cordillera News Agency (CNA), one of the eight participants from Baguio. Senator Pimentel who was one of the reactors to Atty. Gutierrez's presentation, said that the explicit provision on political dynasty seeks to end the commonplace dynastic politics and give chance to other candidates who are also qualified to run for any elective position. After an intensive discussion on the pros and cons on federalism as presented by the speakers and panelists, the participants during the group activity and write-shop listed story ideas such as economic benefits to the regions, delivery of basic social services, shortening of bureaucratic processes, swift delivery of justice, ridding multi-party system, taxation, police, electoral reforms, among others. "These are more of questions waiting and wanting for answers. 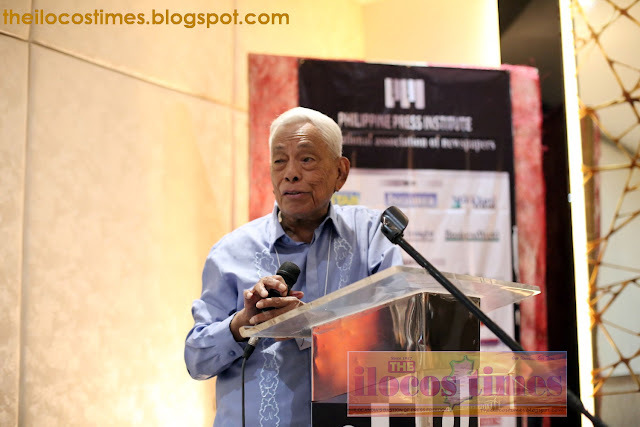 The public needs to know all these things," said Janet Valdez, a journalism professor at the Bulacan State University whose family partly owns Mabuhay, a multi-awarded community newspaper. Ms. Valdez who presented her group's output stressed the need for better understanding for better reportage.